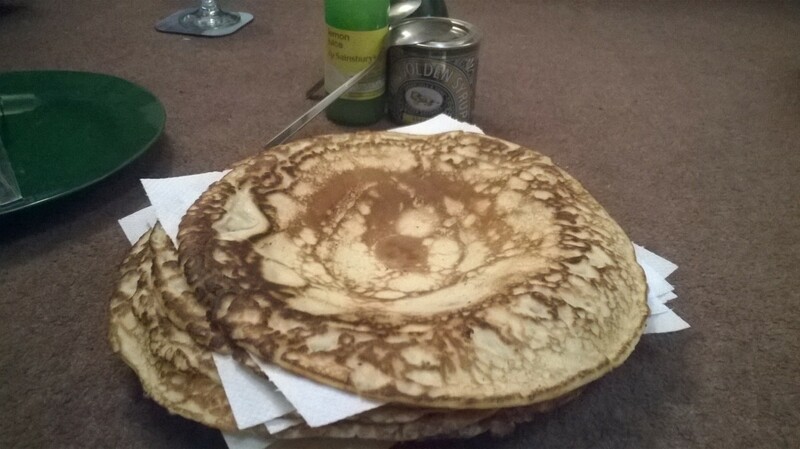 I’m not even the slightest bit bothered by religion, but when it comes to Shrove Tuesday, it’s pancake time – I love them. They’re easy to make, and easy to eat. Syrup or lemon juice, I don’t care. However, I did go a bit over the top last night – I wasn’t overly well this morning. Bleurgh. But, it’s pancakes all the way next year! Thanks, Jesus – this lent thing is brilliant, because I get to stuff myself on yumminess. This entry was posted in food and tagged pancakes. Bookmark the permalink.